I try to eat healthy but I still like to have dessert. This can be challenging as I'm trying not to have any processed sugars. 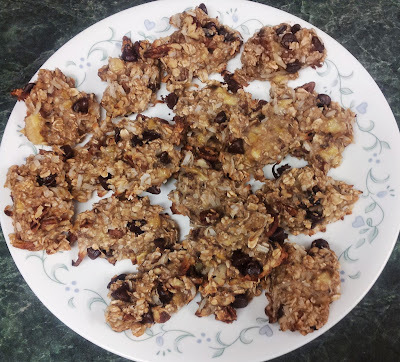 Well, I've seen this recipe for 2 ingredient cookies floating around and finally decided to try them. I found an awesome deal on bananas. 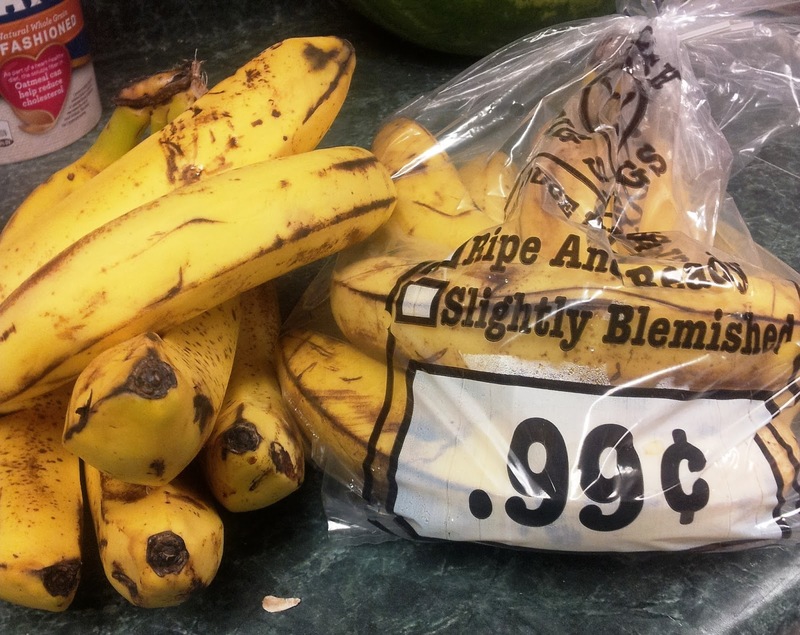 I bought 3 of these $.99 huge bags of bananas. I chopped and froze a lot of them for Green Smoothies. Some we just ate and then I made a whole bunch of these cookies. They are just 2 ingredients: Oatmeal and Banana. 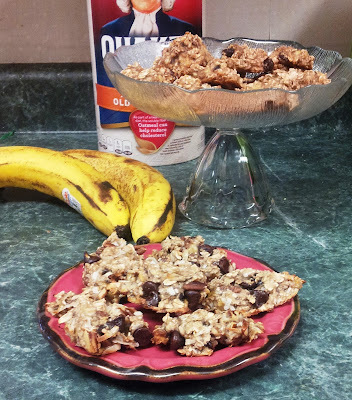 You can use either quick oats or regular. 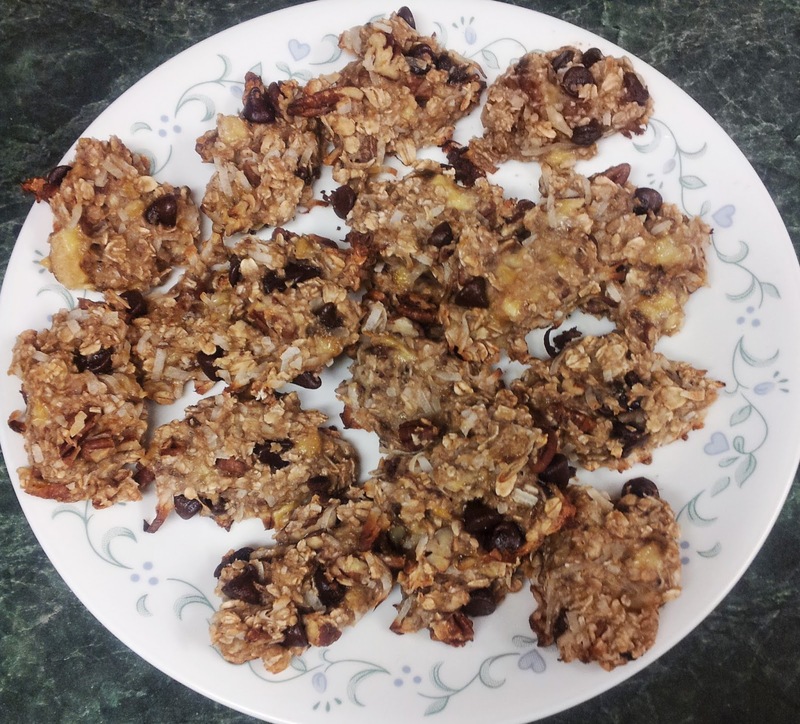 I used regular and did stick them in the food processor for just a second or two so everything would hold together a bit better. There are add ins that you can put in. I chose to put a small box of raisins and a couple of shakes of cinnamon. They were awesome! So, so, so simple and they tasted really good. My daycare kids loved them too! 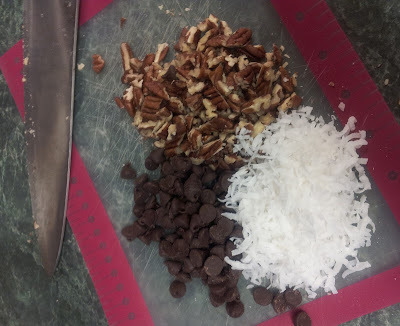 Then, at the urging of my children, I made a batch with chopped pecans, coconut and chocolate chips. I didn't try these but the kids polished them off in record time. 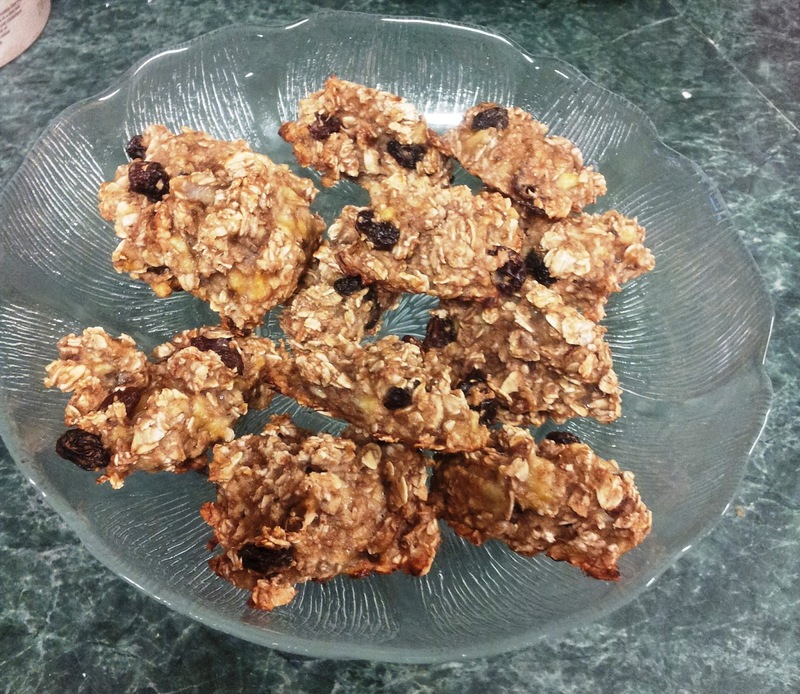 This is Day 7 of 30 Days of Vegan Recipes. 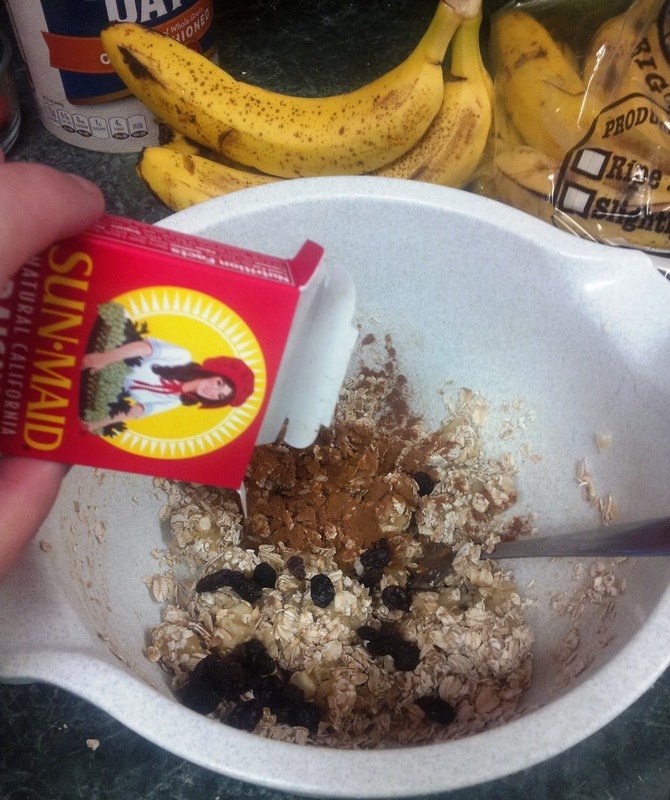 Mash banana, add oats and stir to combine. Spoon onto cookie sheets lined with parchment paper. Bake at 350 for about 20 minutes or until desired crispness. They are still a bit soft when they come out.